Trust, building relationships and man management. That’s the holy trinity of qualities that Steve Bruce insists are essential in a modern football manager, and they’re what the ex-Manchester United man will be bringing to the Sheffield Wednesday dressing room as manager. 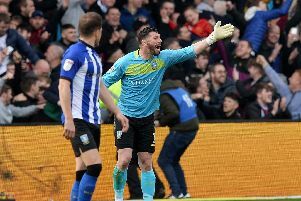 Bruce, who was hailed by caretaker manager Steve Agnew as someone who brings a “human touch” to the dugout, understands that the mental aspects of the game are just as important as the physical – especially if he is to spearhead a Wednesday return to the Premier League. With every player offered a clean slate since his arrival, the four-time promotion winning manager is aiming to create a healthy environment for his players. "It is vitally important that a player is comfortable within his environment,” Bruce said. “The whole well-being of a player is vitally important. If that player is not well mentally, you are not going to see the best of them. "It is my job and the staff's job to make them as comfortable as we possibly can in the surroundings and give them the platform to go on and succeed. Midfielder Sam Hutchinson, who was among a number of Owls stars exiled under previous manager Jos Luhukay, is one player in the squad who has been open about his mental health. And speaking to the media ahead of the visit of Reading this weekend, new Owls man Bruce insists that good relationships with his players will be vital moving into the remainder of the season. "I have been in the game a long, long time and it is very important that I strike up a relationship and bond with them where they find a trust. “Hopefully over the years and months they will find that trust in myself and I will get to know them off the pitch as much as on pitch and how they live and how they do it and how they work.